"Code of Silence" investigates how female correction officers are abused by coworkers. The documentary was selected as the best student doc of the year and was also featured in The New York Times. A select program for M.S. students who spend a third semester making a short documentary. We train students to succeed in the expanding world of documentaries. You learn writing, shooting, sound recording, editing and the business of documentaries. Classes are small, focused and hands-on. The Documentary program combines world‐class training in how to be a reporter with professional skills in the craft of long-form visual storytelling. Students spend 9½ months learning how to develop sources; find and verify information; use data and develop visual skills. They learn camera work, sound recording and editing. They also learn the business side of documentary production – grant writing, negotiations, rights and clearances and how to develop a winning production trailer. The additional semester – completed during the summer – allows students to produce and edit their video Master’s Project. Documentary students generally work in teams and get individual coaching from advisers who are recognized documentary producers. We expect the resulting films to be published: online, on cable or on broadcast. During the year, students in the Documentary Program meet some of the world’s most acclaimed documentarians who visit our classes and show their work at our regular Film Fridays series. Recent guests have included Alex Gibney, Stanley Nelson, Sarah Burns, Kirsten Johnson, Nanfu Wang, Matt Heinemann, Josh Oppenheimer and Ezra Edelman. They also attend select festivals at venues outside of campus. Under the direction of Professors June Cross and Betsy West, students undertake courses in journalism production, visual storytelling, camerawork and editing. Faculty advisers have included Tom Casciato, Nina Chaudry, Julie Cohen, Rachel Dretzin, Pamela Hogan, Andy Fredericks and Simon Surowicz. The admissions committee seeks applicants who can articulate their passion for documentary filmmaking. The Journalism School is committed to building a diverse student population and we encourage applications from students of all ethnic and economic backgrounds. Previous experience shooting and editing is welcome but not necessary. During the fall semester, students take the core Reporting class, then test into Video 1 (for the inexperienced) or Video 2 (for those with demonstrated experience in shooting and editing). Beginning videographers are expected to develop their skills. Concurrently, during the first semester, students learn about the documentary canon and workshop story ideas for their own films. Projects are approved for production by the time the spring semester begins. During the spring semester, students get hands‐on production experience and learn to craft compelling stories. By the end of the semester they pitch a work‐in‐progress trailer to a group of commissioning editors from major outlets. In the past, these editors have included representatives from the Sundance Documentary Fund, HBO and CNN. Students complete their Master's Project documentary during the summer semester and they are due on August 14. They graduate in December at a special graduation event. 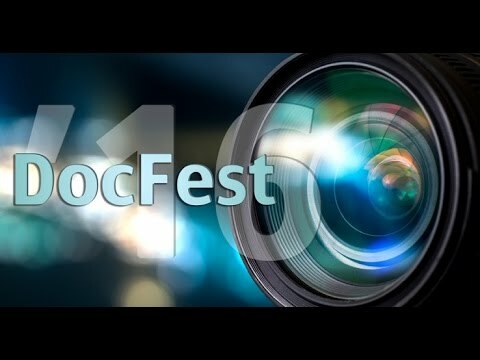 The following day, their films are showcased at the annual Columbia Journalism School DocFest. In addition to the required classes, Documentary Program students choose from the many spring classes that are open to all students. Two students from a Harlem public middle school attempt to succeed in the privileged world of debate. A film by Doc ‘17 students Sushana Dubreil and Genesis Tuyuc. Harlem Legacy. The players for a dwarf basketball team are heroes on the court. But on the streets of New York, they’re outsiders. The Towers, a film by Doc ‘16 students Oliver Arnoldi and Maria Chiu, follows their struggle for acceptance.